My father, Kwok Fui, was born in 1901 on May 13 in the southeastern part of China near Canton, now Guangchou. This region was suffering extreme economic hardship, famine, as well as attacks from bandits. Growing up, he undoubtedly knew of the economic opportunities in America. Earlier emigrants who visited or came back to retire in their villages told of the greater financial opportunities in the U. S.
As was the situation for many other young men, he decided to go to America to seek work and to earn income which he could send back to help his family in China. As the oldest of three sons, it was Kwok Fui's lot to emigrate to Gum Saan in 1921 to seek a living and send money back to the family. My father, like other paper sons, was coached carefully with answers for the kinds of questions that would likely be asked. He had claimed to be the son of Jung Lim, a merchant in San Francisco but in reality was using false papers as no such son existed. That is of course why he had to abandon his family name, Lo, and use the surname, Jung, of his paper father. During his immigration entry in 1921, he was asked dozens of questions. He was asked about the physical layout of the village, which direction the main street faced, features of the house in which he lived such as how many windows were on each side of the building, how many doors there were, and how many stairs led up to the front door. Questions about relatives living in the home and where they slept were asked. This was a difficult test especially because he did not actually know these relatives and had not lived in their house. He had to memorize answers to questions that were likely to be asked. Answers to these questions had to match those given by his paper father as well as those of a paper brother. In fact, several times the Inspector challenged his answers. For example, the examiner would allege that the paper father or bother had answered differently and asked him why their answers conflicted. He may have passed this test because he rarely changed his answer unless he claimed to have forgotten; usually, he simply asserted that he was telling the truth. Once he successfully entered the country he was confronted with the challenge of surviving in a land where knew little of the language and none of the customs and also faced an often hostile reception from White Americans. As was true for immigrants from many other countries, father's survival depended on the help of earlier immigrants from his own village. Since his contacts with other immigrants from his village were all in the southern region of the country rather than on the West coast, his fate brought him to the Deep South. Working as an apprentice to a Chinese laundry man in Chattanooga, he earned wages some of which he sent back to his family in China. He then moved to Georgia where he apprenticed in both Rome and Augusta. Eventually, while he learned how to operate a laundry, he was able to save enough to buy a laundry in Macon, Georgia from an elderly Chinese who was retiring to return to China. Upon reaching his late 20s, and having established himself by saving enough money to buy his own laundry to provide a source of income, Kwok Fui decided it was time for him to return to to get married. In 1927 he went back to visit his village after working as an apprentices with Chinese laundries in the southern part of the United States for 6 years to find a wife to take back with him. 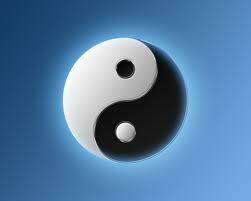 The Chinese firmly believed in marrying other Chinese. Due to their low status of the Chinese in the United States, the only Americans available for marriage would have been other people who were either poor and or from minority groups. Following the age old tradition honored in that period, arranged marriages were set up with the aid of matchmatchers. Kwok Fui, the prospective groom was sent by the matchmaker, his father, to the village to get a glance at his potential bride, Wai Toi, as she shopped in the Chuck Tom market without her knowledge of the impending match. After he agreed to the match, it was then finalized with the families. In this manner, Wai Toi, who was 20 years old, and having no say on the matter was betrothed to a man almost 10 years her senior who she had never laid eyes on before.In a matter of days, or at most a few weeks, the wedding was held in the village in March of 1928, and a few months later, they were headed across the Pacific to live in Georgia. They did not know it then but they would not be able to return for a visit to China for almost 40 years. Life was much more difficult for Chinese in Georgia than it was for those in California in many ways simply due to the cultural isolation. Father adapted to the Southern way of life, earned a living, and raised a family in addition to continuing to provide financial aid to his family of origin in China. As an uneducated immigrant, he had to learn to survive in a foreign land where he did not understand the language and customs. He suffered through the ordeal of the Great Depression of the mid 1930s, and the difficult years of the World War II knowing his family in China was in danger. He realized that the future of us children depended on opening the door through education to a more secure life. Without father's commitment to the same goals for us children, as displayed by his sacrifice in staying alone in Macon to operate the laundry for several years after the rest of his family left for California, our big move would not have been possible. If he was ever hesitant or unsure about this decision, I never noticed it. He accepted the necessity of staying behind without complaint. It was more difficult to understand father's inner feelings, as he was not prone to talk much about his these concerns. He knew that we would be better off in California,and that was sufficient for him to justify the decision. Upon reflection about my father's life, I wonder about what his life would have been if he had never come to the U. S. As difficult as coming to America proved to be, if he had not come but instead had spent his life in his rural village in Toishan, his life would have also proved to be most difficult, as economic conditions there were quite harsh when he was young. Assuming he could have survived those hardships, however, he would probably have had to flee eventually to Hong Kong when the hostilities with the Japanese escalated into World War II. Next, with the rise of Mao Tse Tung at the end of the 1940s and the ensuing extreme economic conditions during his regime, father would possibly have been tormented and physically harmed by the Red Guards as grandfather would have been viewed as a landlord. So, in hindsight, father's life in America may not have been so bad after all. After overcoming the hardships of life in Georgia, he did enjoy the fruits of his labor with his family after moving to San Francisco where he spent the rest of his days. In the 1930s, father had encouraged and assisted his two younger brothers in coming to America by sending them money to pay for their transportation to America. They would each buy fake identity papers and enter under different surnames. The first brother came in 1935, and even lived with my parents in Macon for a year or so to gain experience in operating a laundry. While my father assumed the surname, Jung, his brother took the name, Jew. Since Jew sounds like Joe, we ended up calling him Uncle Joe. Then, when an opportunity arose to acquire his own laundry in Atlanta, he opened the Loo Ling Laundry on Georgia Avenue not far from the State Capitol Building. Later it was renamed Joes Laundry and eventually his oldest son, Hoi Lam, took it over when Uncle retired. Unlike father, uncle Joe was married in an arranged match and had three sons before he came to the United States in the mid 1930s. His original plan may have been to earn enough money to send for them, but then the war broke out, and he and his family were isolated from each other. Finally, in 1951 he was able to return to China for a visit and make plans to bring his wife, and now four sons, Hoi Lam, James, William, and Henry to Atlanta in 1952. The youngest of the three brothers, Hok Su Lo, was unsuccessful in his attempt to enter the United States around 1937. He failed to pass the interrogation by immigration and for reasons unclear, he was detained at Angel Island for almost a year before he was deported to China. He then went to Japan to study, but at the outbreak of war between China and Japan, he returned to China where he married and had 4 children, 3 daughters and a son. Many years later, the two youngest children, Veronica first, and then Dominic, would come to the United States to attend college in St. Louis and Knoxville. They stayed in the U. S., and settled in Knoxville, Tennessee. Each got married, to Asian spouses, and they stayed in the South to work and raise their families. There are very few other Asians in the Knoxville region, so they are somewhat isolated from their cultural roots. Ironically, their father finally was admitted into the U. S. through the sponsorship of his children. Although rightfully embittered by his lengthy detention at Angel Island when he failed to gain entrance to the United States in the late 1930s, he was eager to come live with his children, and to help care for his grandchildren. However, coming at such a late age, he did not adapt as readily. Additionally, he suffered failing vision, and decided to return to China to be near his two older children. Thus, the relationship with America was markedly different for the three brothers. For father, he had his family with him during his entire life in America. 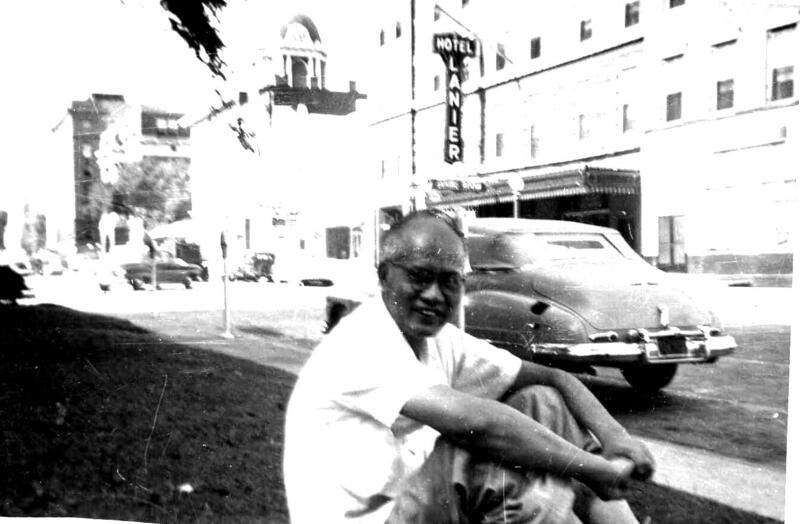 And, his sacrifice of staying alone in Georgia for a few years in the early 1950s made it possible for his wife and children to move to San Francisco and become part of a larger Chinese community. It was a major event that changed the paths of the lives of all of us in significant ways. In contrast, Uncle Joe was alone in Atlanta for many years from the late 1930s to the early 1950s while his three sons grew up in China before he was reunited with them and his wife. After they finally succeeded in gaining entry to this country, he elected to stay in Atlanta rather than move to San Francisco as our family did. I recall that at the time I had hoped they would join us and was somewhat disappointed and even surprised that they decided to stay in Georgia. Who made the better choice? During the 1950s I certainly thought we had made a wiser choice than my Uncle Joe. To stay in Georgia, a highly segregated region with so few Chinese did not seem like an attractive choice. As my father was nearing retirement, and his two daughters were approaching the age for marriage, it was a easier choice for father to move. In contrast, Uncle Joe had economic concerns that would have prevented his moving for it would be difficult to start a new business. Although the oldest son, Hoi Lam, was married and had children when he immigrated to America, three of his four sons were still not yet of marriageable age. And as for father's youngest brother, he really had no choice at all. The decision to stay in the South in his family rested with his son and daughter. Possibly because they had attended college in the South, they felt comfortable settling in Tennessee. Over the many years since I left at age 15, I forgot about my young life in Georgia and became involved with life wherever I was living. Occasionally I made a short visit to Atlanta or some of my cousins would visit us in California. In 2003 I returned to Atlanta to visit my relatives on their home territory to renew family ties. This visit was about 50 years after I had moved away from Georgia. As I looked at the myriad changes that have occurred over this period in Atlanta, I could see that major improvements in race relations have occurred, and that the prejudice toward Chinese may have lessened. Moreover, instead of there being only a handful of Chinese in Atlanta, there has been a huge influx of new immigration, migration, and births among Chinese as well as other Asian populations. Nonelessless, I had the impression that the Chinese in Atlanta are still somewhat isolated, perhaps voluntarily. My cousins have almost all married Chinese or other Asian mates. All but one of my Southern cousins remained in the South, and he moved to Chicago. The cousins and their families are relatively congenial and close to each other, but I can not say I know how important it is to them to maintain a distinctive Chinese identity and how they feel about being Chinese in a predominantly black and white society. Now as the children of my Southern cousins are getting married, some of them to Caucasians, they are also relocating in areas distant from Georgia such as New York and California. It is a difficult question to answer as to whether I would have been happy living my whole life in Georgia or if my relatives there would have been better off had they lived in California. It's fun to speculate, but in the final analysis, what's been done has been done. Personally, I am thankful that our family did make that momentous decision in the early 1950s to head West!